While starting to write this article, i was trying to find a connection between Coke and running and there is a link that shows Coke being used as a sports drink to provide that extra energy boost during the last stages of a prolonged endurance competition. And studies show that it works! “If Coke is diluted with other stuff, it appears to have the makings of a good sports beverage. 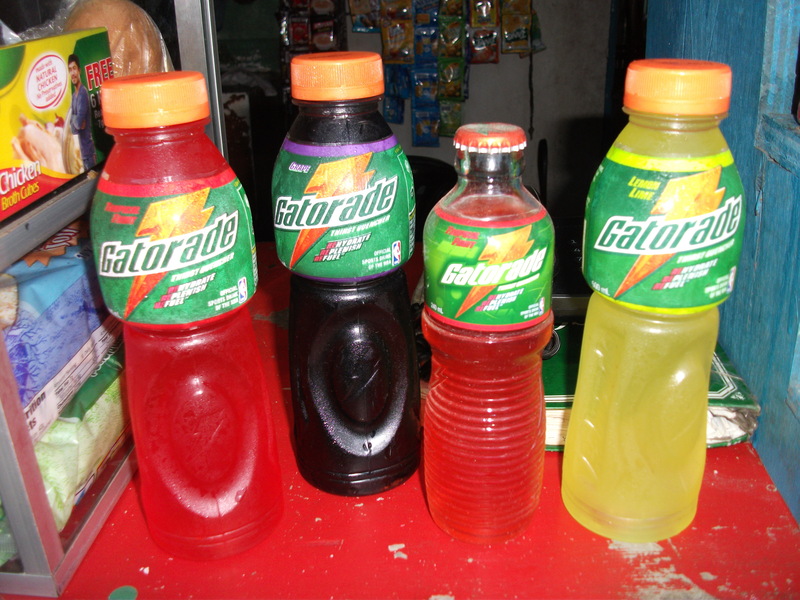 Mixing it half-and-half with Gatorade will give you an 8.7-per cent sports drink which should work very well and taste very strange. Mixing two parts Coke with one part water will leave you with a 7.3-per cent drink which should help performance and won’t taste strange at all. I myself is a testament to this when during the recent T2N 50k Ultramarathon, i was made to take soda drink by one of my great support team, (not sure if it was Coke though it sure tasted like it) during the last stages of the race and it was a great taste quencher that i asked for it every time my team would stop for me. Which bring us to Ms. Toni Gonzaga, multi-media celebrity who is now Coke Zero’s new endorser. Does she run? I really don’t know although i hope she does. She was recently introduced as the new Ambassador for Coke Zero during the officially kick off with COKE ZERO’s friends from the media, top bloggers, fans and other special guests for a day to “Have it All with Toni Gonzaga” last May 23, 2012 at The Gallery in Greenbelt 5, Makati City. She was presented by Ms. Nikki Lee, Brand manager for Coke Zero whose looks and intelligence would have easily made her another Coke Zero ambassador. “She’s achieved remarkable things and at the same time, enjoys what she’s doing.. COKE ZERO is proud to have someone like her who does have it all, the same way the brand makes it possible for you to have all you want in a beverage – Great Taste and Zero Sugar,” she added. Toni shares her excitement over the new endorsement: “I feel really blessed to be able to represent a brand like COKE ZERO because we stand for the same things: that you don’t have to compromise on the things that make you happy – that you can have it all, for as long as you put your heart into it. Fortunately, when it comes to beverage choices, COKE ZERO gives just that, a chance to have it all: great taste na, zero sugar pa! Ano pang hahanapin mo?” says Toni. Have you tried or even seen these little suckers at your neighborhood sari-sari store? They’re being sold at all stalls inside the Quezon Memorial Circle and it’s been out in the market for a few weeks now. Like the pocket sized version of the Coca Cola soda, the 240 ml Gatorade is trying to compete with the low priced energy drinks like Cobra, Sting and Samurai. Although the bottle cap has a suggested retail price of P10.00, it actually cost about P12.00-15.00 which is the same with those of the energy drinks. I’ve tried the Fruity Punch flavor ( i thinks it’s the only one available right now) and tastes the same like its big brother. Problem is, you can’t take and hold them in your runs because of the glass bottle container which is quite heavy. 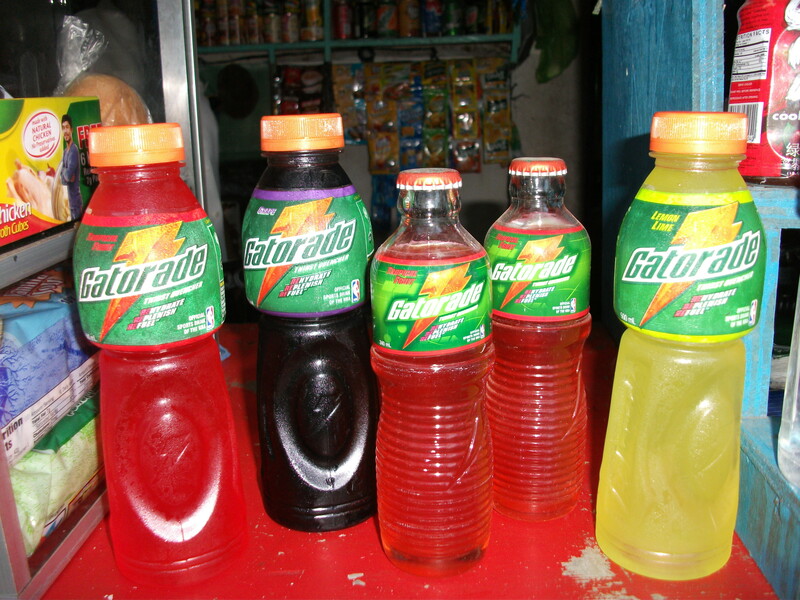 Talking about sports drinks, i still prefer Gatorade’s Tiger drink as i find it more potent and satisfying. Too bad, it too got the axe and has now been discountinued by Gatorade.